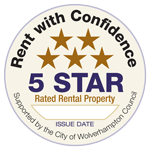 There are landlords that do not meet the minimum 3 star rating required under the RwC scheme. Those landlords identified as not meeting this standard, will be given 28 days to achieve a 3 star rating, after which the property will appear on the RwC website. 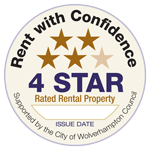 The landlord, however, will not be permitted to advertise the property until a 3 star, or higher, rating has been achieved. 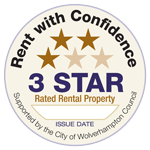 If you are not currently meeting a 3 star rating, we are happy to work with you to help you achieve a 3 star rating.